Classical Chinese medicine (CCM) is a time-tested holistic system of medicine that has been passed on through oral tradition from master to disciple, as well as through study of the ancient classics of the medicine written by scholars, sages and doctors who had a high level of mastery of the Dao (The Way) of life. These ancient masters understood the principles of the natural world, and the connection between Heaven and Earth. As Man, living between the two, we are subject to the laws of these two greater cosmic forces, and thus we must learn how to harness and embrace the yang and yin energies of the two to live in a healthy and harmonious way. The classics serve as the guiding light for helping us see how the ancient sages lived, and to show us just how wise they were to follow the cycles of the natural world. These masters viewed the human body as a microcosm mirroring the macrocosm of the world outside of their body. These intuitive and meditative insights of the ancient sages led to the development of a highly sophisticated and effective system of medicine that has simple, universal principles at its core. Modern man can benefit greatly from this ancient wisdom that has continuously been passed on for over 2500 years. What are the Classics of Chinese Medicine? Classical Chinese medicine has a rich and very long history which can be traced back to prehistoric times. During its development, a tremendous amount of medical literature was produced. All the volumes written from very early times until the end of the Qing dynasty are considered ancient Chinese medical books. Among them, those of the most academic value which serve as cornerstones of CCM are called classics of Chinese medicine. Usually this refers to four ancient masterpieces: Neijing (Yellow Emperor’s Classic), Nanjing (The Classic of Difficult Questions), Shanghan Lun (The Thesis of Febrile Diseases Provoked by Cold) and Jingui Yaoyue (Synopsis of Prescriptions from the Golden Chamber). 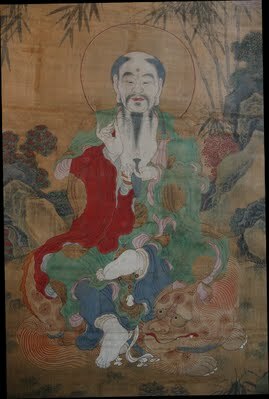 The Neijing, known in its entirety as, Huangdi Neijing Lingshu, is the earliest medical classic in existence in China, if not the world. In the present day, a controversy exists about when the book was actually compiled. Despite this, most medical historians and scholars agree that the majority of the contents of the book was compiled in the Warring States Period (475 BC-221 BC), and parts of it were added in the Qin Dynasty (221 BC-207 BC) and the Eastern Han Dynasty (25 AD-220 AD). Can Chinese Medicine Help Me? Chinese medicine has been used effectively for thousands of years in China and in other Asian cultures that have adopted the primary treatment modalities of CCM, which include: Acupuncture, Cupping, Herbal Formulas, Massage, Moxibustion, and Scraping. A skillful practitioner in the art and science of Chinese medicine is able to diagnosis diseases through careful observations and assessment of subjective and objective information obtained during the intake process. Once all of these various bits of information are processed, a diagnosis and treatment plan is arrived at for the treatment session. A quality Chinese medicine session should often include a synergistic combination of these modalities in order to have the best chance at yielding satisfactory, and superior clinical results. Classical Chinese medicine can help with a plethora of acute, chronic, miscellaneous and undiagnosable disease states by using the correct treatment principles and remedies tailored to that unique patient’s health condition. No two people are treated the exact same in this medicine (if it is being performed in a truly holistic manner), which is a drastically different desired result than the current Western conventional medicine paradigm seeks with standardization and reproducibility being the golden standard in a more reductionist-oriented paradigm. Chinese medicine has been used as a primary medicine for millennia for everything from colds, allergies, asthma, aches, pains, and injuries to diabetes, cancer, urinary dysfunction, menstrual problems, sexual problems to various emotional and mental diseases, and especially for reaching diseases that have penetrated to the deepest level, the shen (spirit).